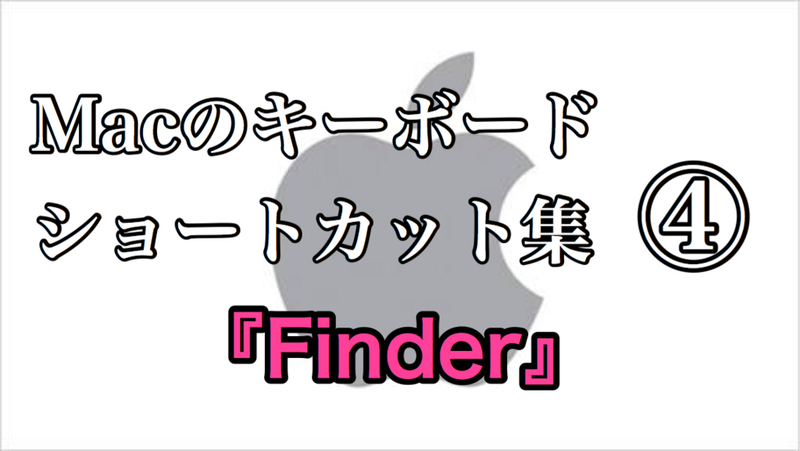 This time, I will introduce "Finder"! Come on! Those who use the Mac! We will shortcut to increase productivity and efficiency! Remove the selected disk or volume. Start Spotlight search in the Finder window. Display the "View Info" window of the selected file. Opens the "My Files" window. Opens the "Go to folder" window. Open the home folder of the current macOS user account. Add items selected in the Finder to the Dock (OS X Mountain Lion or earlier). Add items selected in the Finder to the Dock (since OS X Mavericks). Toggle display / hide of Dock. This shortcut usually works outside the Finder as well. Add selected items to the sidebar (OS X Mavericks or later). Toggle display / hide of the pass bar in the Finder window. Toggle the hide / display of the sidebar in the Finder window. Toggle display / display of the status bar in the Finder window. Opens the "Connect to Server" window. Create an alias for the selected item. Open a new window in Finder. Displays the file from which the selected alias is created. Toggle tab bar display / hide when one tab is open in the current Finder window. Toggle Finder tab on / off. Show / hide the toolbar when one tab is open in the current Finder window. Move: Move the file placed on the clipboard from its original location to its current location. Display the quick look slide show of the selected file. Use Quick Look to preview the selected file. Display items in the Finder window in icon format. Display items in Finder window in list format. Display items in the Finder window in column format. Display items in the Finder window with Cover Flow. Move to the previous folder. Move to the next folder. Opens the folder containing the current folder in a new window. Display the desktop. This shortcut also works outside the Finder. Switch the target display mode on / off. Switch on / off display mirroring when Mac is connected to multiple displays. Open the selected folder. This shortcut works only in list view. Close the selected folder. This shortcut works only in list view. Open the folder in a separate window and close the current window. Open the folder in another tab or window. Move the selected item to the trash can. Empty the trash box without displaying the confirmation dialog. Preview the file with a quick look. Open the "Display" panel of System Preferences. This shortcut works with either intensity key. Open the "Mission Control" panel of System Preferences. Open the "Sound" panel of System Preferences. This shortcut works with any volume key. Drag an item to another volume or location. The pointer changes while dragging items. Copy the dragged item. The pointer changes while dragging items. Create an alias for the dragged item. The pointer changes while dragging items. Open all the folders in the selected folder. This shortcut works only in list view. Displays the folder containing the current folder. Take your time to work! I hope you find everything useful.